I’m not even sure I can truly call this a DIY since it is the easiest thing to accomplish. Ever. 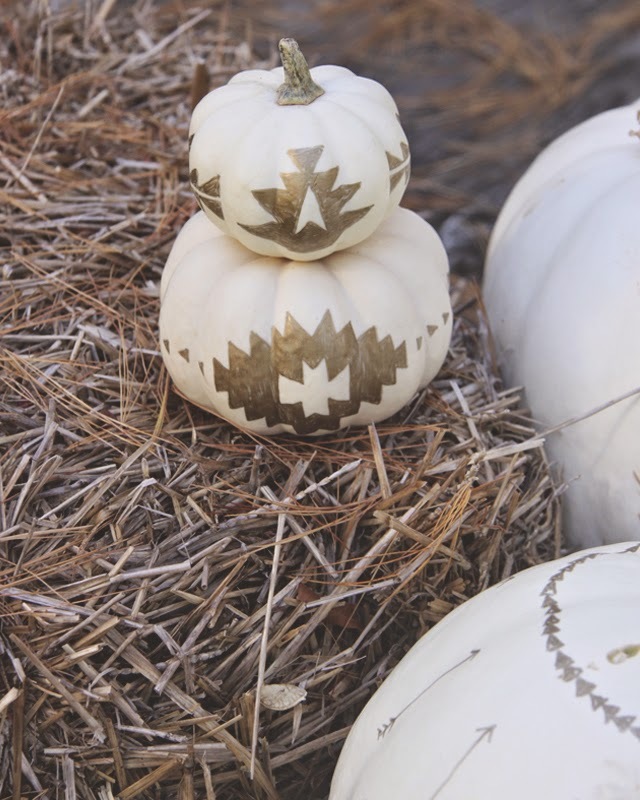 Here’s what you need: some white pumpkins, a gold sharpie (or silver, or black, or all of the above), and your imagination (or a good tribal print to emulate! 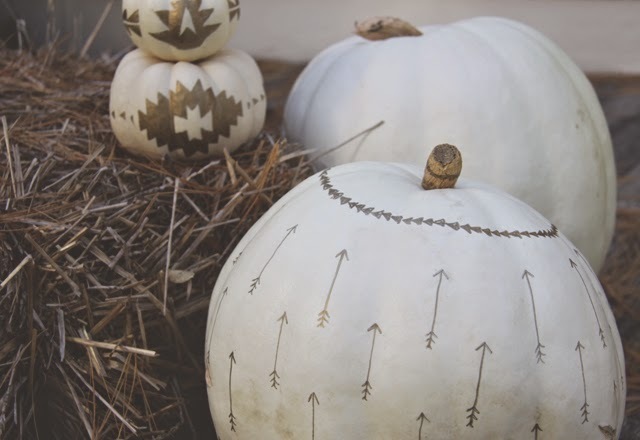 – hello pinterest!) 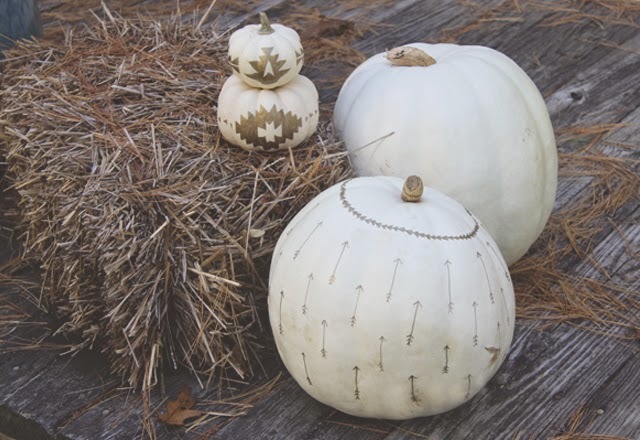 Gather said pumpkins and draw! That’s it. Easy peasy. I feel like I’ve cheated the DIY world somehow but at 35 weeks pregnant and counting I’m saving my energy if ya know what I mean! Happy DIY-ing.